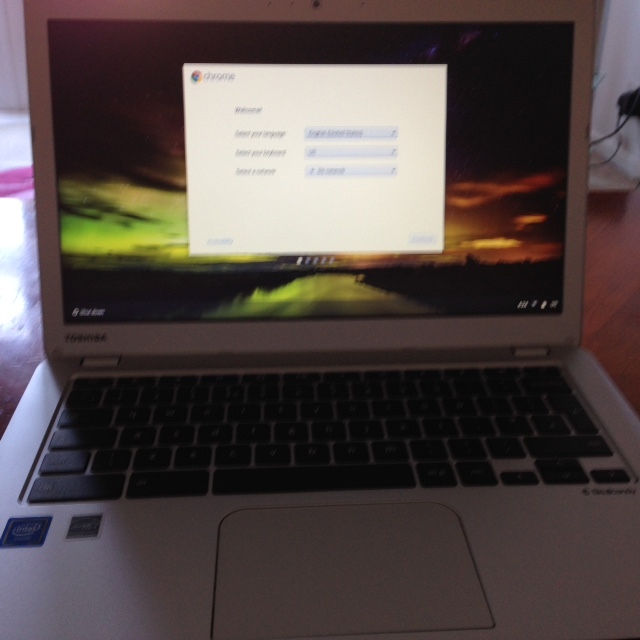 Toshiba Chromebook 2 - The perfect chromebook for teens in 2016? Why is the Toshiba Chromebook a Good Choice For Teens? Affordable - the laptop is extremely good value for money. Pick one up for around $299. This means there is less worry if the laptop gets damaged or lost. Excellent battery life - the battery life is around 9 to 10 hours. This is great for teens who want to take the chromebook to college or school all day. A fully charged battery should last them for as long as they need it. If you want more battery life it may be worth looking at the Dell Chromebook 13 which has a 16 or 17 hour battery life, however you will pay more for the privelege and maybe compromise and some other features. Keyboard and Trackpad- the keyboard is really comfortable and easy to use. The Toshiba chromebook uses the space available perfectly. There is a nice space at the front of the keyboard to rest your hands as you type. The keys are spaced the perfect size apart and typing feels really nice, easy and comfortable. Great for typing and doing homework and assignments. The trackpad is also great, big and easy to use. It works well and has a texture which provides excellent traction. Screen - it has a 13.3 inch screen with a resolution 1366 x 768 pixels The screen shows vibrant colors and it's bright too. It's nice for watching videos and movies on. There is also the option of the HD screen if you don't mind spending a bit more. Speakers - the speakers are tuned by skullcandy and they are invisible under the keyboard. They are good for a laptop of this price range. Portability - the Toshiba chromebooks weighs 2.95 pounds and with it's 13.3 inch screen it's extrememly portable. Maybe not as much as some as the 11.6 inch chromebooks but it's larger screen make it more suitable for watching TV and movies. It's a good compromise, the Acer 15 inch chromebook offers better movies viewing but it's not as good for taking to school or college. Tech specs - the chromebook has Intel Celeron N2840 processor, 2 GB memory of RAM and 16 GB Solid state drive. Pay more to upgrade to 4gb of RAM if you have a heavier workload. However, on testing with 10 tabs open the chromebook hasn't stuttered or slowed down as yet.